Bring your lawn chair and get ready to sit back and enjoy! 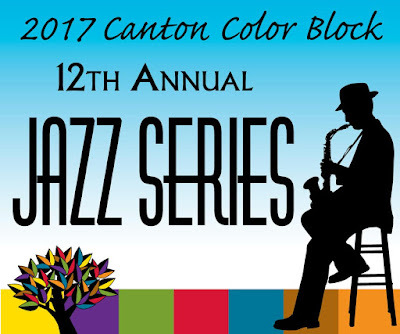 Get ready to jazz up your summer by attending the 12th annual Canton Color Block Jazz Series. The Canton Color Block Jazz Series is a wonderful family friendly musical event featuring great concerts for the whole family in Canton, Michigan. Starting Friday July 14th, talented jazz musicians will take center stage at the parking lot of Super Bowl Lanes at 45100 Ford Road. UPDATE: The 2017 Canton Color Block Jazz Concert Series continues this summer with its remaining five concerts (starting on 7/28) scheduled to take place at a new location in Canton's Heritage Park. These outdoor concerts will now be held Friday evenings through August 25, 2017, from 7:00-9:00 p.m. at the Heritage Park Amphitheater, located at 1150 S. Canton Center Road, Canton, MI, 48188. In an effort to offer even larger audiences the chance to experience these free jazz concerts, this popular series has been relocated from the Super Bowl to Canton's Heritage Park. For additional information, visit www.ShopCanton.org. The Canton Downtown Development Authority, in cooperation with Canton Leisure Services and the Canton Chamber of Commerce, hosts the Canton Color Block Jazz Series. Fridays 7:00 - 9:00 p.m.
All concerts will held outdoors at Super Bowl Lanes at 45100 Ford Road. at Heritage Park Amphitheater, located at 1150 S. Canton Center Road, Canton, MI, 48188. Join in the 7 week rhythmic celebration of music, family and community. There are over 300 businesses in the Canton DDA District along Ford Road. It’s like an outdoor mall with retail shopping, department stores, health and other professional services, financial institutions, auto supplies and services, a variety of restaurants, sports and entertainment venues, and hotels. Canton's Ford Road has an established way-finding system with color-coded street light banners for each block along the three mile stretch of the Downtown Development Authority district. New for this year, the color-coded blocks will be celebrated each week of the jazz series with chance to win a prize when you come dressed in the color of the week and various specials will also be offered. And every week, while supplies last, there will be a commemorative gift for the first 25 people who turn in receipts for a minimum of $25 from a Canton merchant. As always, this event is FREE to the public. Each concert begins promptly at 7:00 p.m., but come early to start the night off with dinner at one of the many fine restaurants in the local area or grab some Jazzy Carryout to enjoy during the show.